The following are the most popular courses we run. We also offer more marine and HSE courses, and a full list and prices are available here. 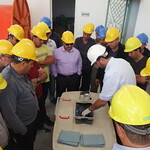 We also organise closed group customised corporate courses. Do you specific needs? Do you want free advice to tailor a course for your needs? Contact the Training Director by email on commercial@aost.com. 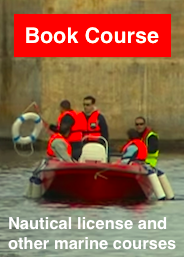 This course covers the minimum training required for a trainee to obtain a Nautical Driving Licence to operate a private pleasure craft of 30Hp and over. The Licence issued is limited to operating pleasure craft within the territorial waters and ports of Malta. Read more. This course covers the minimum training recommended for the trainee to crew any commercial vessel as a General Purpose Hand in accordance with the manning requirements. The Licence issued is limited to operating commercial vessels within the territorial waters and ports of Malta. This course covers the minimum training recommended for the trainee to achieve a Dual qualification to act as Master and/or Engineer of vessels less than 10 metres, capable of carrying 12 passengers or less. This course covers the minimum training recommended for the trainee to achieve a Dual qualification to act as Master and/or Engineer of vessels less than 12 metres in length and with engines up to 250 kW. This course covers the minimum training recommended for the trainee to achieve a Qualification to serve as Master on a commercial vessel of less than 24 metres in length. This certificate does not include an engineering qualification. Applicants who intend to act as both Master and Engineer of a vessel 12-24 metres will need to hold an appropriate Engine Driver certificate. This course covers the minimum training recommended for the trainee to achieve a qualification to serve as Engine Driver on a commercial vessel of less than 500 KW. This course covers the minimum training recommended for the trainee to achieve a qualification to serve as Engine Driver on a commercial vessel of less than 750 KW. This course aims to give the necessary training to candidates to provide elementary first aid on board local Commercial vessels, in accordance with the requirements of Transport Malta Commercial Vessel Code. This syllabus covers the minimum standard of competence in elementary first aid, a trainee will be competent to take immediate action upon encountering an accident or medical emergency until the arrival of a person with medical first aid skills or the person in charge of medical care on board/paramedics. This course aims to provide the training for candidates in fire prevention and fire fighting in accordance with the requirements of Transport Malta Commercial Vessel Code. On meeting the minimum standard of competence in fire prevention and fire-fighting, a trainee will be competent to take appropriate measures for the safety of personnel and of the ship and use fire appliances correctly. The trainee will also have knowledge of fire prevention. The aim of the course is for those individual with little or no experience in the use and operation of a marine outboard engine. The trainee will be competent to operate the basic marine outboard engine and be in a position to acquire the basic knowledge on how an outboard engine works and identify minor faults. A general knowledge on the care and maintenance of the engine will also be covered. This course covers the minimum training recommended for operators on sea crafts fitted with VHF Digital Selective Calling (DSC). This VHF Short Range Radio Operator’s Course (SRC) has replaced the VHF Operator’s Certificate. Upon successful completion of this course and final assessment, the trainee will be competent to operate the GMDSS VHF (DSC) equipment, and have primary responsibility for radio-communications during distress incidents. The aim of this course is to train the candidate to be competent and capable to supervise on site personnel during a spill. The course is designed for a widely defined target group of first responders. The main characteristics of staff designated as first responders are that they are able to manage and lead a smaller group of responders and that they have basic technical and communication skills. The candidate will be able to carry out on site assessment for Health & Safety, Environment sensitivities, formulate a work plan and establish a communications network between the clean-up team and the on-scene commander. 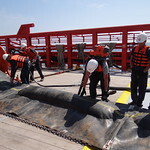 The purpose of this course is to train candidates to be competent and capable to supervise on the field personnel during an oil spill clean-up. The On-scene commander will be responsible for the planning and logistics of the marine operations, aviation, legal issues, public affairs, health and safety and the environment. The course is designed to give participants a complete overview of oil spill response processes, with elements of theoretical and practical sessions. It is however, important for the instructors to keep in mind and be aware of the local community response limitations and the types of resources available to respond to an oil spill (personnel, equipment and monetary). This also includes being aware of the availability locally of non-traditional response resources, knowing the local sensitive areas and the appropriate response strategies for them, and any local environmental and seasonal implications. Instructors will also take into account the local culture and values as well as the political structure of the country.